Man oh man, these pictures bring back some memories!!! I think I've already featured some of them but wowsers! This reminds me how versatile natural hair is. Some people are hesitant about going natural because they there isn't much you can do with your hair. Um...really? Five photos with five different looks. I used to LOVE scarves. They were perfect for when I had to to jet out of the house or wanted to funk up a look a bit. Being natural in college was such freedom. There were no limits to what I would do with my hair. Not to say that funky natural hair styles can't be professional. The picture of me in the middle sippin' a Shirley Temple (because I can't do liquor...so sad) was taken while I was on a business dinner cruise. Craziness! And when folx email me and tell me they JUST did the big chop and want to loc up right away, I tell them to wait at least a year. Most just tell me to go to hell because they're going to loc up anyway. LOL! I wanted to really enjoy my natural hair and do all kinds of hair styles before I loc'd it up. How about y'all? How long were you natural for before you loc'd up? That's exactly what I did, after my big chop I spent that whole year just enjoying my loose natural hair. I remembered having a lot of fun enjoying the TWA, the gel twists, cornrows, and 2-strand twists. It was only after my 1 year that I decided to loc, mostly because I realized that as much as I had fun wearing my loose hair, it was just too much work for me and it became expensive to go to the salon to get styles done. It sure was fun though, I don't necessarily miss those days but it was definitely important for me to enjoy my natural hair loose before locking. I think anyone who just got the big chop should definitely get to know their hair before locking, it's really a nice experience. Four months...and in that time I did two strand twiasts to "prep" my hair for locs. Looking back, I wish I woulda have explore my loose natural hair some more, but I am more than happy with my locs now. I agree with you. ive been natural for two years before i began locking in Dec 09. i really had fun with my hair. Doing fro's twist sets, slicked back with my waves poping out, clips in, scarfs, big flowers. Come to think of it most of what i mentioned i can do with my locs...yeah! but yes thers is so much to explore with natural hair u have to indulge in it all!!! Does anybody else find it interesting as well when people think that locs are "limiting" style-wise? Or that you can't do much with natural hair? The great thing about natural hair is that you can do so much with loose natural hair AND locs! i always notice that people who wear perms all they really do to it is put it in a pony or keep it down, where as with loose natural hair/locs they just go bananas with the many styles they can do with it. It's so cool! I wore a fro 4 years before I loc'd the 1st time. I didnt quite figure out my hair until yr 3. Then I was loose for 2 years after my 1st set of locs. I have been loc'd this time for about 2 years. I was never a girl to wear a style so locs have been perfect for a low maintenance girl like myself. By the way- LOURVE this blog! I was a loose natural for 5 years before I decided to loc. 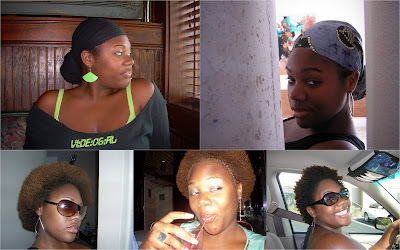 I LOVED my loose naps: twa, big fro, afro puffs, two strand twists, cornrows, headwraps! Natural hair is so versatile. However, once I had my second daughter in 2007, styling 3 loose, nappyheads became too much for me. Therefore, this past August I decided to loc my hair. It was one of the best decisions I have made for my hair. I was only a loose nap for 8 months... i was at a dead end at the time...and really wanted to do something different...now i think about loose naps everyday...but I love my locs.. I'm not loc'd yet, but planning to start by the end of the summer. 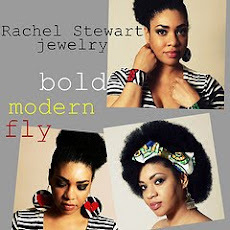 I have done the BC twice and rocked the TWA, but not this time. I know my goal is locs. So, I'm currently transitioning (planning on braids/twists through the summer). I plan to start my locs right after my BC! I just started locing but I was a loose natural for about 3 1/2 years...it seems so much longer than that. 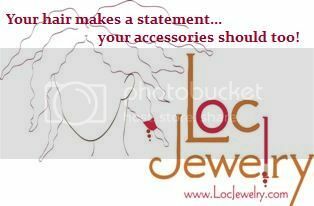 I have tried almost every style and product imaginable and I always knew that I was going to loc my hair. It was 4 years loose naps before I decided to loc. I was natural for 2 years!! before decided to lock my hair(the 1st time.) I am glad i got a chance to really play in my loose natural hair. I love it :) this is my 2nd set of microbraidlocs. The first set i locked because i was bored of my hair(NOT A GOOD DECISION), but i am glad i did it again. I missed the simplicity of locks and i agree it is better for one to wait some months or so before locking it up, but i understand that everyone cant wait, including myself sometimes lol be blessed! First set at 19 of traditional locks, after 19 years of natural hair. The next set at 23 years of Sisterlocks, after 23 years of natural hair. I was natural for about a year and a half before I loc'd up.